Portuguese Guinea 1948 5c Chocolate. SG304. Mounted mint 1948 5c Chocolate. SG304. 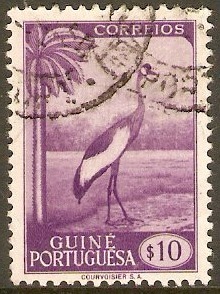 Portuguese Guinea 1948 10c Purple. SG305. Used 1948 10c Purple. SG305. 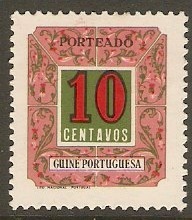 Portuguese Guinea 1948 10c Postage Due. SGD323. Mounted mint 1948 10c Postage Due. SGD323. 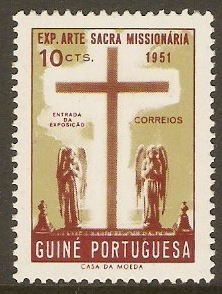 Portuguese Guinea 1953 10c Missionary Art Series. SG323. 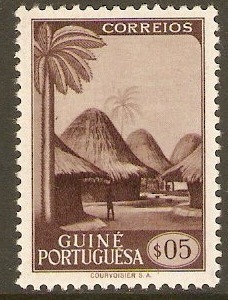 Mounted mint 1953 10c Missionary Art Series. SG323. 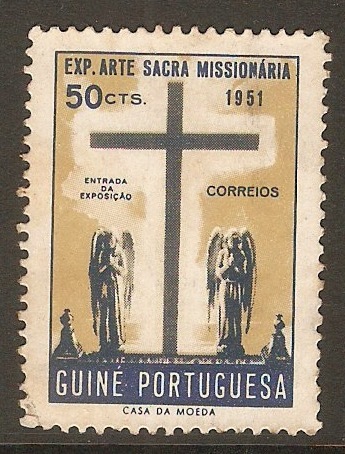 Portuguese Guinea 1953 50c Missionary Art Series. SG324. Fine used 1953 50c Missionary Art Series. SG324. 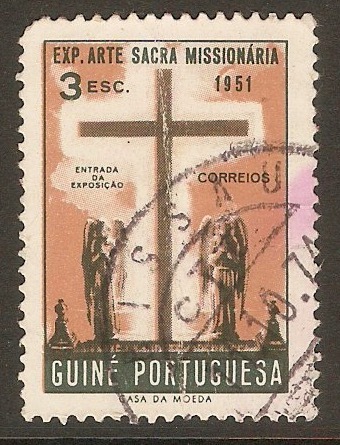 Portuguese Guinea 1953 3E Missionary Art Series. SG325. Used 1953 3E Missionary Art Series. SG325. 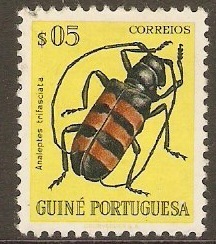 Portuguese Guinea 1953 5c Bugs and Beetles Series. SG326. Fine used 1953 5c Bugs and Beetles Series. SG326. Heavy mounted mint 1953 5c Bugs and Beetles Series. SG326. 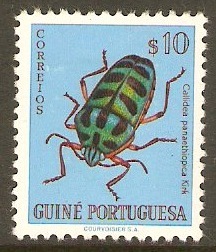 Portuguese Guinea 1953 10c Bugs and Beetles Series. SG327. 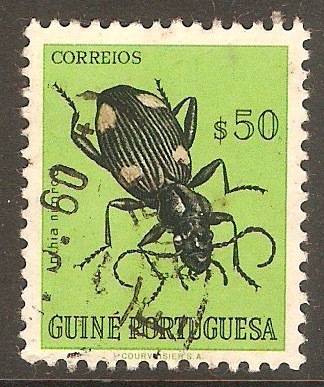 Heavy mounted mint 1953 10c Bugs and Beetles Series. SG327. 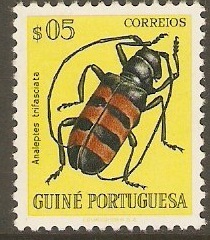 Portuguese Guinea 1953 50c Bugs and Beetles Series. SG329. Used 1953 50c Bugs and Beetles Series. SG329.